Porch light Front and Back. Discussion in 'My Favorite Mods, Tips, Tricks (and Blunders!)' started by MyName, Nov 8, 2018. Just wanted to show my new mod. I added a front porch light to generate more light over my campsite at night. Then on my next camping trip my front door faced away from camp.I could not rotate the popup because of trees. 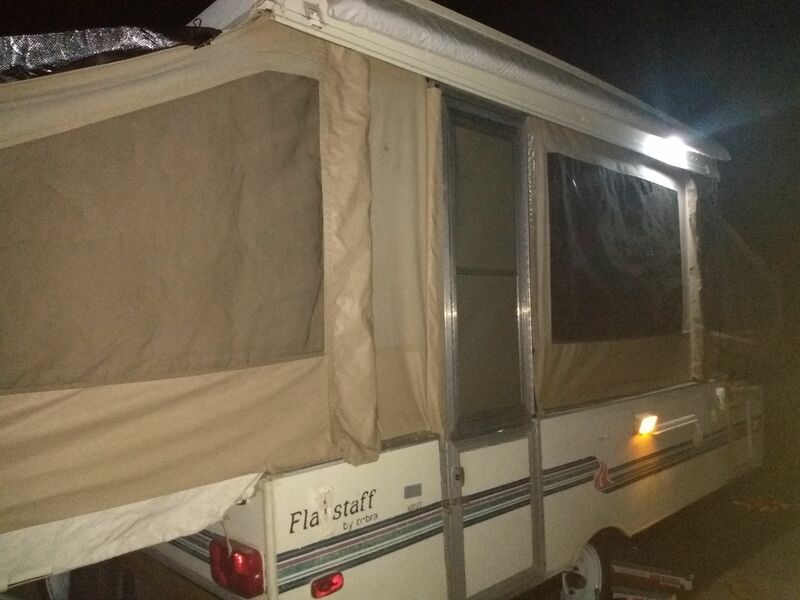 So I then added a back porch light so i can light up both sides. Nice! Are they wired in or battery operated? A.K.A "Scare Lights" on TT's, HTT's and 5'ers .. 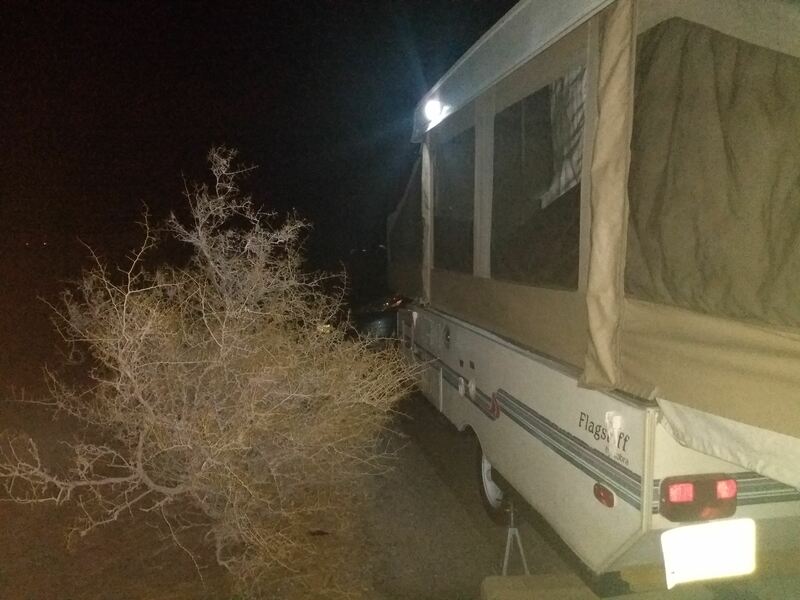 I prefer to use tacky lights, rope lights and bucket lights to light up my site at night time..
@BikeNFish They are wired into the current system. on/off switch on the bottom that I can reach. @Snow I plan to get some some solar string lights for my ezup.